With an eye toward India’s growing energy market, a major Indian tech firm and an Australian startup are testing a new microgrid-as-a-service (MaaS) platform this week that uses energy blockchain. Mumbai, India IT services multinational Tech Mahindra and Australia’s PowerLedger are teaming on the proof-of-concept project at Tech Mahindra’s main campus in Mumbai. Tech Mahindra plans to announce the results at its Mission Innovation conference, tentatively scheduled to take place in Hyderabad Dec. 14-15. Tech Mahindra is attempting to incorporate secure, distributed, peer-to-peer energy trading, transaction processing and administration into its MaaS platform. The company hopes to market the platform throughout India’s cities and urban areas, as well as to its core client base and others. The MaaS platform will incorporate a variety of generation assets of varying sizes and levelized cost of energy (LCOE), Tech Mahindra said an email interview. On-site solar PV will be the main source of power generation for the MaaS/energy blockchain test, but the platform will also incorporate diesel generation, wind and some waste-to-energy generation capacity. The exact mix is yet to be determined, but in total, power generation is to be about 5 MW. 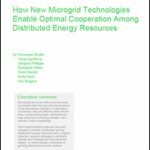 Outside of generation capacity, Tech Mahindra is looking to real-time, battery-based energy storage and demand response capabilities to optimize the microgrid. Generation and consumption data will be gathered from various smart metering points on the Tech Mahindra campus. PowerLedger’s blockchain-based, peer-to-peer energy transaction processing and distributed ledger will complete the platform, providing a financial dispatch model and support for an economically optimized generation mix. Low-cost, secure, and having the capacity to manage a complex network of energy generation, storage, local distribution and consumption nodes makes PowerLedger’s blockchain peer-to-peer, distributed energy trading and transaction platform well-suited to the task, Tech Mahindra told Microgrid Knowledge. Because supply is pre-paid, it is low-risk. And because it incorporates multiple points of generation, the system encourages community members to invest in distributed energy resources since to monetize excess generation, according to the company. Tech Mahindra also is interested in creating a real-time simulation for it’s employees working in its campuses to test peer-to-peer trading by providing an ability to turn off energy usage remotely and by participating in an energy market on a real-time basis, the spokeswoman said. In terms of organizational resources, PowerLedger is providing developer and project management services to integrate Tech Mahindra’s generation and consumption data into the PowerLedger Platform. In addition, PowerLedger is participating in promotions, marketing and business development for the MaaS proof-of-concept trial. For its part, Tech Mahindra is contributing smart meters, distributed energy resources, control technologies and its microgrid platform software for integration with the PowerLedger platform. Tech Mahindra is also investing in developing a mobile application for its employees to facilitate their participation in a simulated real-time, peer-to-peer distributed energy trading market. 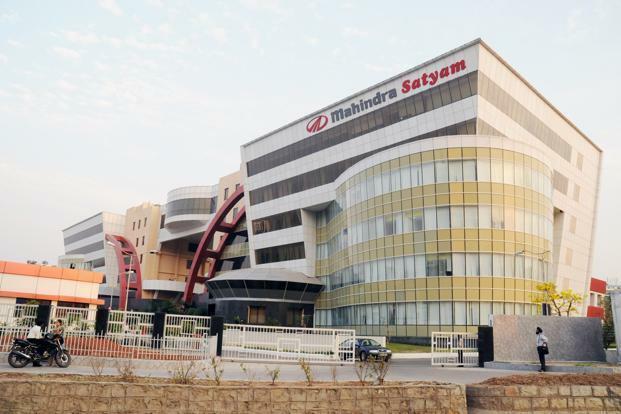 A US$4.4 billion multinational information technology services corporation, Tech Mahindra employs more than 117,600 professionals serving 840 clients, primarily telecommunications companies, in 90 countries. Management has distilled Tech Mahindra’s guiding and informing strategy in the acronym DAVID: Digitalization, Automation, Verticalization and Disruption. PowerLedger has emerged as an early leader in the fast moving worldwide market for blockchain energy trading and the so-called “Energy Internet of Things.” The company on Oct. 4 completed the second and final round of the first cryptocurrency token initial coin offering (ICO), raising $34 million in a mix of digital crypto-currencies and conventional fiat currencies, such as the Australian dollar, from as many as 15,000 ICO subscribers. 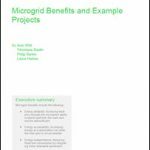 Track news about microgrids and energy blockchain by subscribing to the free Microgrid Knowledge newsletter.